Greg is President of InitLive and Managing Director of Global Investments for Wesley Clover. As a member of the Investment Committee, Greg is responsible for portfolio management and new investments. In particular, Greg develops and manages investment opportunities in global markets and leads international business development for portfolio companies. Greg has extensive experience assisting technology companies of all sizes and phases, from startup to large multinationals, in dealing with the strategic issues common to the high-tech sector. Greg holds a Masters of Business Administration and Honours Bachelor of Arts degrees from Queen's University in Kingston, Ontario, Canada. 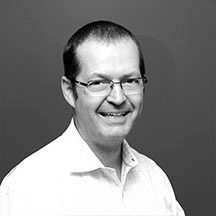 Chris Courneya is the CEO of InitLive and has over 20 years of leadership experience in the technology sector. Prior to InitLive, Chris co-founded prairieFyre software, delivering one of the first real-time, web-based contact center software solutions available in the market. Under Chris’ leadership, prairieFyre’s revenue grew an average of 20% per year, with its contact center management software being found in 8,000+ installations worldwide. Mitel acquired prairieFyre in 2013. In 2005, Chris was the recipient of Ottawa Business Journal’s Top 40 Under 40 Award. Chris is a member of Young Presidents Organization (YPO) and is also a member of Capital Angels Network where he actively invests and coaches startup companies in the Ottawa High Tech community. 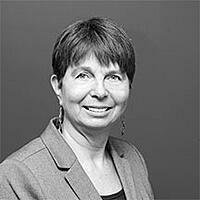 Debbie Pinard is the Co-Founder and Head of Strategy at InitLive and has 38 years of experience in high-tech and communications. She is a recognized software architect and inventor, and has almost 50 granted patents, including 2 for InitLive (with 2 more pending). Prior to InitLive, Debbie’s roles have included Software Designer, Product Manager, Director of Strategic Technology and VP of Innovation. Debbie graduated from Ottawa University with a BSc in Math and a BSc in Physics. 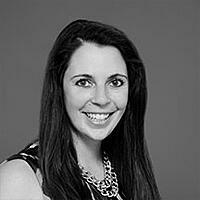 Melissa is the Director of Product Management & Marketing at InitLive and has two patents granted in the US and Canada. Prior to co-founding InitLive, Melissa spent 11 years working at the YMCA as a staff coordinator and social media manager. There, Melissa experienced firsthand the pains and challenges of coordinating and communicating with dynamic groups of people, which helped inspire the idea of InitLive. Melissa graduated from the University of Guelph with a degree in Media Communications, and a diploma in Image Arts from Humber College. Jason is the Director of R&D at InitLive. By bringing his skills in integration and innovation, his role allows the business team to move forward while unburdened by the technical details. Jason is also a liaison between the technical to the non-technical, simplifying communication. His experience brings the ability to grow safely and rapidly in a forward-thinking manner. Prior to InitLive, Jason was the Chief Technology Officer at SingSnap Corp. where he was accountable for all product development and direction.